Brisket is a hit. Burgers are a hit. 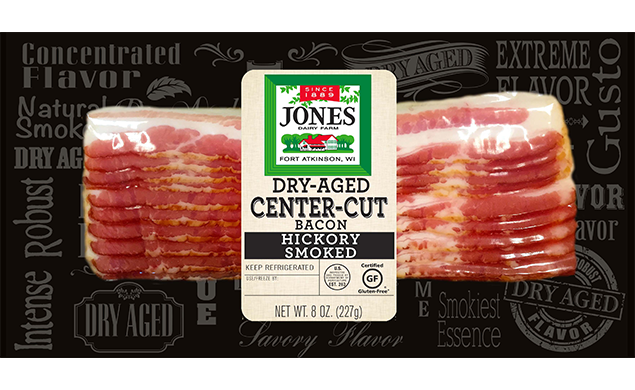 This recipe combines the two and tops it off with Jones bacon for good measure. See how simple it is to make. To make the burger, slightly flatten two small burger patties; place beef brisket in center of one patty and cover with remaining patty. Crimp or press the edges of the patties together to seal the brisket inside. 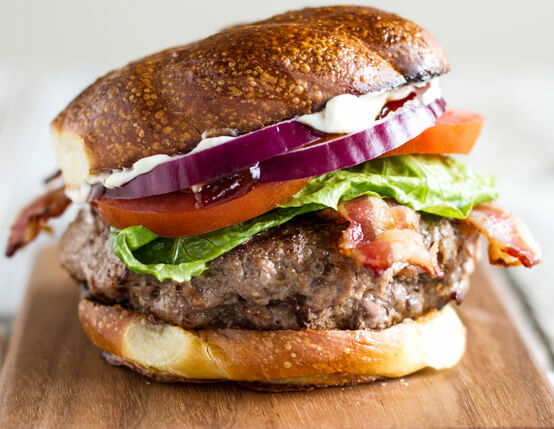 Grill burger to desired doneness; toast bun and then spread with BBQ or steak sauce and mayonnaise. Place burger on bottom half of bun and top with bacon slices. Garnish top of bun with lettuce, tomato and red onion. Serve with additional BBQ sauce, sautéed mushrooms, onions or pickled jalapeños.